An icon of the First Nicean Council. Almost 1,700 years ago, bishops and other delegates from all across the Roman Empire converged on the city of Nicea (located in modern-day Turkey). They had serious business on the agenda. Trouble was brewing in Alexandria (in Egypt); a presbyter by the name of Arius had been teaching that the Son of God—Jesus—was not actually God. Arius believed that the Son of God had instead been created by God the Father, and that there was a time that the Son of God never existed. That probably strikes you as wrong. St. John writes, after all, that the Word—Jesus, again—was there with God in the beginning. What is more, he writes that the Word was God (John 1:1). But Arius didn’t interpret things in this way. Unsurprisingly, his teaching began to cause problems. Local bishops condemned his views at a synod in 321, but the dispute continued to spread throughout the Roman Empire. Peace in the Church was fractured. Eventually the Roman Emperor Constantine invited bishops from throughout the empire to come together and settle the matter in person. And so it was that church leaders arrived in Nicea in 325, Arius among them. Does the phrase sound familiar? It should. It comes from the Nicean Creed—words we confess in our churches to this very day. This creed comes out of the council of bishops in Nicea all those years ago (with some additions made by another council in Constantinople in 381). We continue to speak these words because they continue to be true. What the First Council in Nicea confessed on the basis of Scripture, Christians today continue to confess: Jesus is God. He was not created. He has always existed. And because He is God, He has power to save sinners like you and me. It might be ancient history, but the confessions made at Nicea are forever relevant to our faith today. We continue to speak these words because they continue to be true. What the First Council in Nicea confessed on the basis of Scripture, Christians today continue to confess: Jesus is God. It should not be surprising, therefore, that God might choose ordinary meetings as a way to guide His Church. When Christians gather together, prayerfully reflecting on the Scriptures, He is present. “Where two are three are gathered in my name,” Jesus promises, “there am I among them” (Matthew 18:20). That counts for those holding meetings in His name. And these meetings, God directing them, can result in long-lasting blessings to the Church. The First Council in Nicea might have taken place more than a millennium and a half ago, but its creed continues to impact Christians to this day. This past June, Lutheran Church–Canada (LCC) held its tenth national convention in Vancouver, British Columbia. Some of you may have been able to attend, but many of you were not. 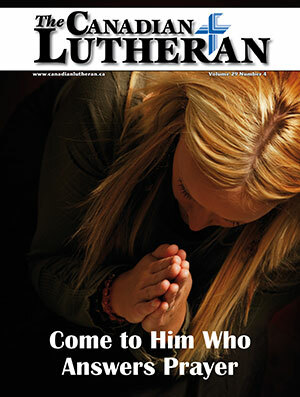 This issue of The Canadian Lutheran includes a number of articles and news stories that will help you understand what happened at this synodical conference. 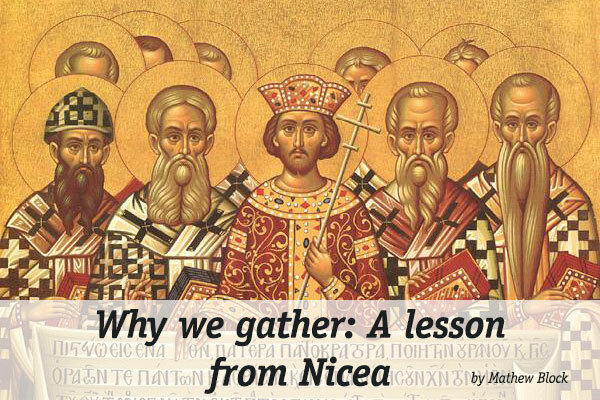 Admittedly, the issues under discussion were not so divisive as those in Nicea (thank God!). And it may not be remembered centuries later the way the Apostolic Council in Jerusalem is still remembered. But LCC’s synodical conference in Vancouver is part of the story of how God is guiding His Church in Canada today. There’s plenty to learn from, plenty to discuss, and plenty to rejoice over. So dig in! 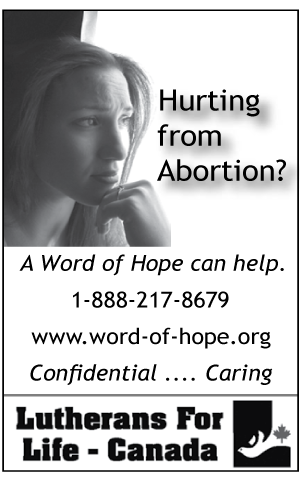 Mathew Block is editor of The Canadian Lutheran.